Manish Pandey could not have asked for a better venue than Centurion to return to form. 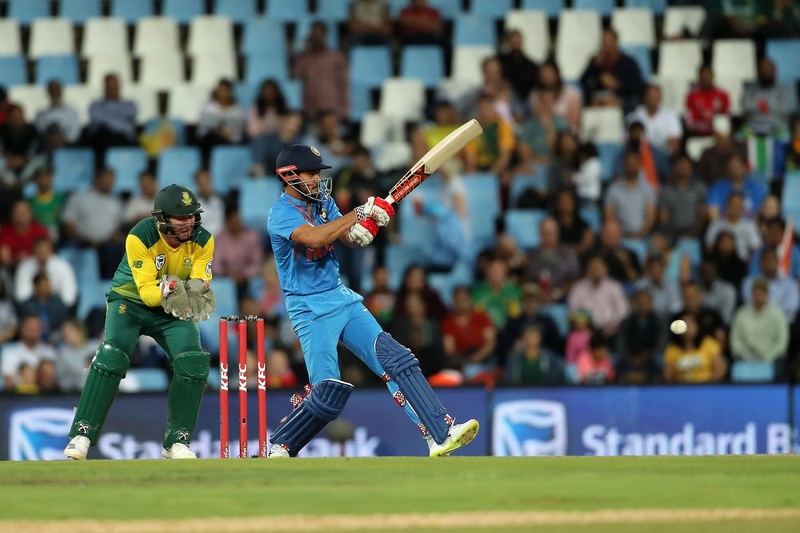 The middle-order batsman was running out of time to prove his worth and another failure on Wednesday (February 21) in the second T20I might have seen him fell down the pecking order. The right-hander was promoted in the batting order, and he made the most of the opportunity at the venue which holds fond memories for him. It was here at Centurion during the second edition of the Indian Premier League; an unknown Pandey had grabbed limelight after becoming the first Indian batsman to score a century in the IPL. The Karnataka star sizzled with a brilliant half-century to boost his claim for a regular place in the playing eleven. Manish Pandey played a matured innings of 79 not out to help India post a daunting 188 for 4 in the allotted 20 overs. 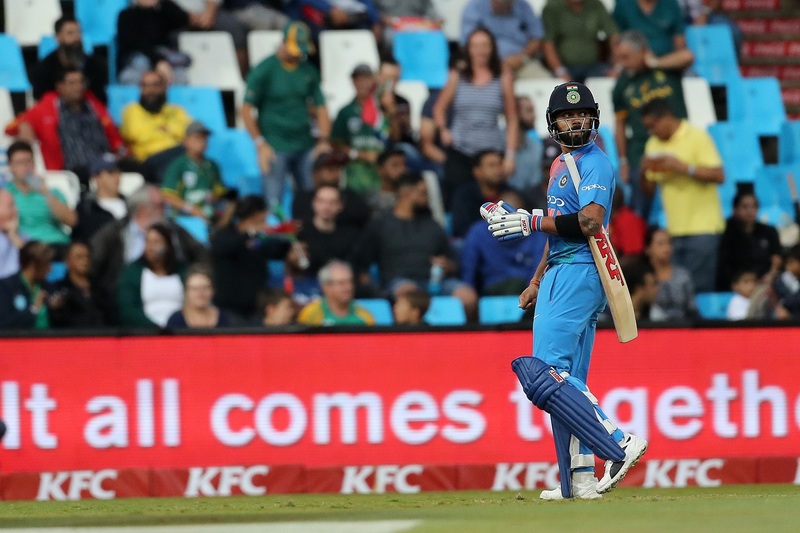 His return to form, however, turned a bit bitter as South Africa leveled the series 1-1 with an impressive win. The Proteas rode on Heinrich Klaasen and JP Duminy’s fifties to win the game by six wickets. Speaking after the game, Pandey said he was excited to bat at the venue. Pandey would have heaved a sigh of relief after the impressive knock. He had not played a single ODI on tour and was coping criticism for playing an unbeaten knock of 29 off 27 balls in the first game. Buoyed by the performance, Manish Pandey is confident he can do much better if he gets the team-management’s backing. “Sometimes I feel.. you know I bat at no. 5. I’ve got a few chances at No. 4, I’ve delivered. Batting combinations sometimes pushes me down to 5. I’ve tried my bit but I also feel I could do a bit more with myself,” he remarked. “India have got a really good top line-up. We have top three batting for about 35-40 overs with guys like Virat and then Mahi coming in ahead of me. But yeah I think it’d be nice to get some more chances and wish I could deliver more. Actually, I can deliver a lot more than I am doing right now,” he added. Manish Pandey, who had scored a match-winning century in Sydney two years ago, admitted that sitting on the sidelines is a little tough. However, he is ready to preach patience to become a regular in the team. “But it is okay, It is part of the game, that’s what cricket is all about. You have to wait for your chances, especially to play for a team like India where you have all stars and legends after legends. So you have to be patient and try my bit there. “It is tough. Playing for India at no.5… you know people who have batted for India at No. 5 before me, Raina is there, Yuvi pa was there. To fill in their shoes it is a little tough. In the last couple of years, (the) Indian line-up is doing really well up top. You have to be really patient for your chances. From the ball one you have to go after it. That’s what I tried to do in the first game. I’ve come back and I’m playing after a long time, it works on the mind little bit. Today was a good day for me and I still want to continue the way I’ve always played,” he added.